PROMONTORY, UtahMar. 11, 2015-- NASA and Orbital ATK (NYSE: OA) today conducted the first qualification ground test of the five-segment rocket motor that will be used for NASA s heavy-lift Space Launch System (SLS), which is being designed to enable exciting new exploration missions throughout the solar system. 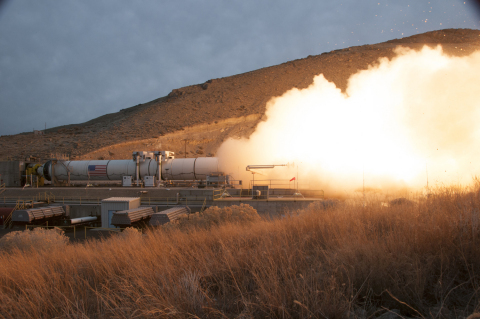 The successful pre-flight test, known as Qualification Motor 1 (QM-1), is an important milestone in validating the rocket motor s use for SLS and its deep space missions. Initial test data indicate the motor performed as designed and delivered the anticipated performance. The rocket motor produced approximately 3.6 million pounds of thrust (equivalent to 22 million horsepower) and fired for just over two minutes. More data will be available as post-test analysis is accomplished on the 102 design objectives that are supported by 531 instrumentation channels. 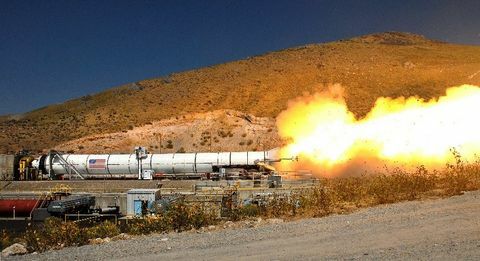 This motor firing is the first of two qualification tests to certify the motor configuration for NASA s Space Launch System, said Charlie Precourt, Vice President and General Manager of Orbital ATK s Propulsion Systems Division, and four-time space shuttle astronaut. The data from today and from our three development motor tests, along with information we have collected on hundreds of predecessor motors over the past three decades, confirms this is the most capable and powerful solid rocket motor ever designed. Measuring 12 feet in diameter and 154 feet in length, Orbital ATK s five-segment motor is the largest human-rated solid rocket motor built today. When it is fully assembled as a booster, it will be 177 feet tall (approximately 17 stories). It produces 20 percent more power than the previously-used four-segment motor, and it also uses new materials that provide cost and weight savings. The five-segment motor was designed to maximize safety while providing a reliable and affordable launch capability for human missions deeper in the solar system than we have ever gone before including to the surface of Mars. NASA s SLS, along with the Orion crew capsule, enables us to blaze new trails, and embark on missions to deep space that leverage more than five decades of pushing boundaries, said Blake Larson, Orbital ATK s Chief Operating Officer. 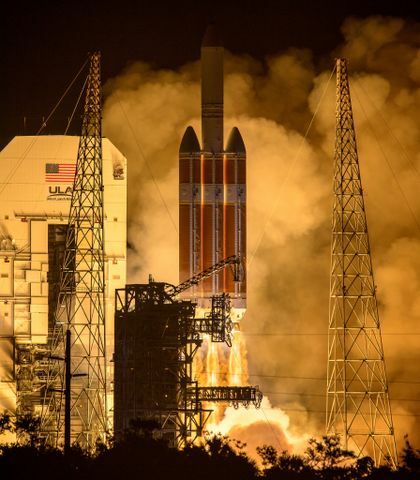 Deep space missions require a heavy-lift vehicle to ensure success, and SLS and Orion can accomplish a deep space mission in fewer launches than current or planned vehicles. Today s qualification test included newly-designed avionics hardware and equipment to control the motor and provide improved test monitoring capability. Other test improvements include a new main pivot flexure design in the forward thrust block to transfer the massive forces from the test into the various load cells for thrust monitoring, as well as an added mid-span support that assisted in adjusting the motor centerline to make the test more consistent with actual flight conditions. This is an exciting time for exploration, as we venture farther into space, said Precourt. 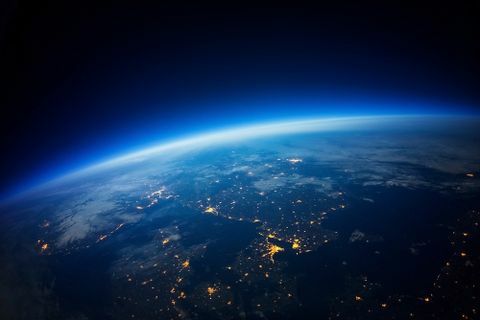 The promise of deep space exploration will inspire the next generation to pursue careers in science, technology, engineering and math preparing them to run the missions we re designing. NASA s SLS will launch on its first mission, Exploration Mission-1, in just a few years. The next major milestones for SLS include Boeing s Vertical Assembly Center core stage welding, continued testing of Aerojet Rocketdyne s RS-25 engine at NASA s Stennis Space Center, avionics and controls testing at Marshall Space Flight Center, and Orbital ATK s QM-2 static firing next year.